The luncheon will feature a question and answer session on the recently completed 2019 Maryland General Assembly Session from the full lower shore Legislative Delegation. Hot button issues will include raising Maryland’s minimum wage, legislation to eliminate post Labor Day school starts, Kirwan Commission updates, new business taxes and fees, and legislative efforts to adversely impact the agriculture industry. The area surrounding the Chesapeake Bay has a distinct visual appeal that is centered on the iconic images of the Bay, its people, and the incredibly diverse bounty of both the water and land. From the arch of the Bay Bridge rising over the Chesapeake to the Ward Brothers in their workshop, this exhibit features historical pictures that have shaped the wider understanding of the Chesapeake. Paired with the historical images, contemporary photographers will display works that feature the Chesapeake through both cultural and environmental perspectives, offering a powerful sense of where we have been and where we are. Jesse Garron’s Tribute to Elvis Dinner Theater will be held Saturday, April 20, at the Wicomico Youth & Civic Center. Enjoy the performance by Garron -- "The Closest Thing to the King" -- along with dinner. Dinner begins at 5 p.m., with the show following at 6:45 p.m. The deadline to purchase tickets for dinner and a show is Thursday, April 18, at noon. Leaping, flipping and climbing - live on stage! Complete with your favorite music and brand-new songs you’ve never heard before! Don’t sleep through it – watch the PJ Masks save the day, live on stage! The Friends of Wicomico Public Libraries will be hosting their Seventh Annual Light of Literacy Awards Breakfast on Thursday, April 25th, from 8-10 AM at the Wicomico Youth & Civic Center. The Light of Literacy Awards recognize the power of everyday individuals doing extraordinary work in promoting literacy throughout the community. Tickets are $20 per person and can be purchased at all Wicomico Public Libraries locations and online at www.lightofliteracy.org. Come join us at Roadie Joe’s in Downtown Salisbury for a night of fun! Enjoy Happy Hour specials while hearing the unbeatable Restaurant Week deals from the best restaurants in town! Pick up your Restaurant Week passport, a bite to eat, and listen to LIVE music while helping Roadie Joe’s donate 10% of their proceeds for the night to the Wicomico Humane Society. Don’t forget your 2019 Restaurant Week passport enters you in the drawing to win SBY Restaurant Week giveaways! This is a free event so come out and party with the Salisbury Area Chamber of Commerce to celebrate this year’s Restaurant Week! 49th Annual Ward World Championship Wildfowl Carving Comp. Carvers and visitors from across the world convene for the most prestigious competition of contemporary wildfowl art. The event includes judging, benefit auction, classes, seminars, demonstrations, children’s activities and exhibitor booths of artisans and supplies. Girl Scouts of the Chesapeake Bay will be honoring Melodie Carter, Vice President of Business Development at Hebron Savings Bank as the 2019 Lower Shore Woman of Distinction. The Event Co-chairs are Susan Purnell and Ashley Bosche. Each year the event celebrates a woman who has made a difference in her community, inspired others, and provided a positive role model for girls and women. The event also provides an excellent educational and leadership development opportunity for teen Girl Scouts to learn important presentation and networking skills as they interact with local business leaders. Sponsorship opportunities are available and all funds raised will support local Girl Scout Leadership Programs. Decorate a themed bra (special theme this year is “Recyclables”), title it, and submit it! Every year this fun competition helps Women Supporting Women (WSW), the Shore’s only local non-profit breast cancer support organization. Register online by clicking here and following the instructions, or stop by our office if you need a hand! ·	…to name a few. 2019 will mark our 25th year of providing health care to individuals in the three lower counties. 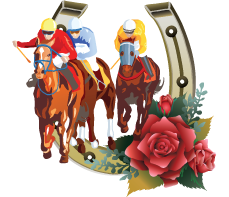 To celebrate this occasion, we will be hosting a Kentucky Derby Gala on May 4, 2019 at Castle Farm in Snow Hill, MD. All funds raised at this event will go toward the expansion of our Summer Mental Health Therapeutic Program. With your support, we can grow the program so that our children can get the help needed to become healthy, functioning members in our communities. The evening will feature Derby-themed Cocktails, Hors D’oeuvres, Silent Auction (including some amazing trips and experiences donated by AmFund), Elegant Dinner, Live Derby Viewing, Bourbon Tasting, Wine Pull, and Live Music by On The Edge. Join Us for an overview of the Divsion with comments from Comminssionar Matthew Helminiak. Labor and Industry is one of five Divisions that comprise the Maryland Department of Labor, Licensing and Regulation (DLLR). DLI has five distinct operating Units, Safety Inspection, Employment Standards, Prevailing/Living Wage, Worker Classification, Building Codes and Maryland Occupational Safety and Health (MOSH), that regulate and enforce Maryland regulations and laws pertaining to these subject matters. Among all the agencies of state government, Maryland businesses both large and small are more likely to interact with DLLR than any other Department -- and at one time or another your company or employees have probably interacted with DLI personnel. This Workshop is intended to give an overview of the Division that includes a deeper dive into the subject matters, and make it easier for businesses to navigate the Department and state government as a whole. In December 2018 for the first time in almost 100 years, Hemp was removed from the prevue of the DEA and placed under the regulation of the Department of Ag, just like any other traditional crop. The immediate and future rammifications of this landmark decision are vast. Hemp touches many consumer product markets, and has shown great promise in terms of being a subtainable and green alternative to many items we use today. THE HILLS ARE ALIVE! A brand new production of THE SOUND OF MUSIC is coming to Salisbury. The spirited, romantic and beloved musical story of Maria and the von Trapp Family will once again thrill audiences with its Tony®, Grammy® and Academy Award® winning Best Score, including “My Favorite Things,” “Do-Re-Mi,” “Climb Ev’ry Mountain,” “Edelweiss” and the title song. Tickets start at $25. Fees may apply.